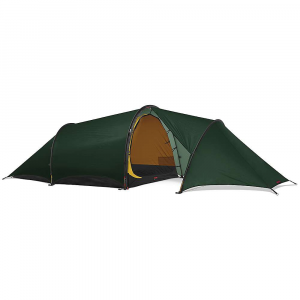 A tent with a very large porch, considering it only weighs 2.1 kg. Great for hikers and cyclists alike! The Hilleberg ground sheet only covers the inner tent for this model, so I got a Nallo, which fits all but a centimetre at the foot end. I got this tent after using a Terra Nova Voyager Superlite on a two-week trek in Scotland. The porch was too small and I was fed up of climbing over the rucksacks for a pee! Amazing space in the porch! I used this tent in South Wales for four nights and it rained and rained, condensation was minimal. (I used tyvek as ground sheet which may have helped.) It kept use dry and helped to keep use warm during the bad weather for four nights. You do have to be aware of the high sides of the outer and pitch it correctly or you will get damp in the tent if it rains, as I did the first time I used it! You need to lower the wind wood side or pitch end on the wind. 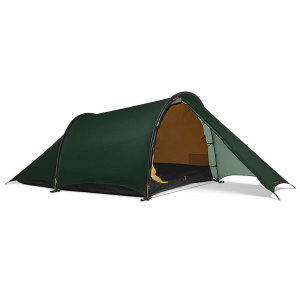 I would consider this or any of the Hilleberg Anjan tents for lightweight hiking/cycling in the UK over the summer months. It's a great tent. 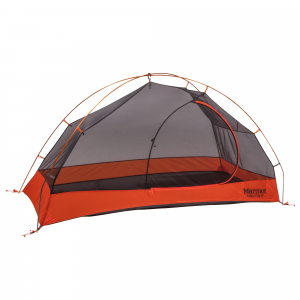 It would be ideal in warmer climates like France or even closer to the equator because of the excellent venting options you get with this tent. Welcome to Trailspace, Andrew! Thanks for taking the time to share your Hilleberg review with us. Got any pictures of your Anjan you'd be willing to add to your review?